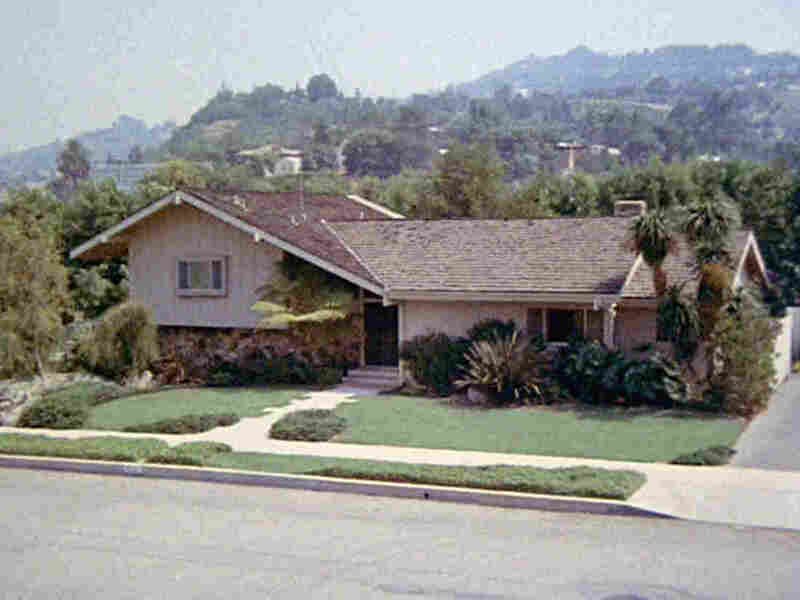 'Brady Bunch' House Is Ready For A New Story Does this house look familiar? It appeared during the beginning and ending credits of The Brady Bunch and is now for sale. The house that played the home, at least from the outside, of the Brady family from the sitcom The Brady Bunch is currently for sale in the Los Angeles neighborhood Studio City. The story continues for a house Americans used to visit every week. The Brady Bunch house is ready for a new family. The famous home featured in the beginning and ending credits of the 1970s sitcom The Brady Bunch is for sale, according to a report by the Los Angeles Times. This is the first time that the home has been on the market in nearly 50 years. And it's going for a pretty hefty price — $1.85 million. This is a huge jump from what it sold for in 1973, at $61,000. Megafans may be disappointed to know that inside, the house looks very different from the sitcom set with its large open staircase. The show was filmed in a Los Angeles studio. The house's Zillow listing promotes it as a three-bedroom, three-bathroom family home with nearly 2,500 square feet of living space. Just as in the perfect fictional home created in the studio, the real house located in LA's Studio City neighborhood retains the look of the 1970s. According to the listing, the home boasts "perfectly preserved 1970s décor," which includes wooden panels, a stone fireplace, living room bar and original MusiCall intercom and whole-house radio. If that isn't appealing enough, listing agent Ernie Carswell is expecting the house to get looks based on the Brady Bunch name alone. "We're preparing for an avalanche. Emails, telephone calls — we may see upwards of 500 calls a day," Carswell told the Times. He isn't wrong. The Zillow listing has more than 500 saves and over 32,000 views — after being posted for less than a day. So who exactly is the target buyer for a house that has its own Yelp page and fan base? Carswell said the property will be shown by appointment only in an effort to separate the fans from the serious buyers. He also said the current owners are looking for buyers who want to keep the house intact. In the meantime, Twitter is having fun imagining some very Brady scenarios. "It would be cool if one of the Brady Bunch cast members bought the house ... keep it in the family!!!" Ms. V tweeted. "By chance, have there been any reports of unusual phenomena taking place as a result of a previous occupant's procurement of a tiki idol? What I'm really wondering is, is this place infested with tarantulas?" Sir Richard Pumpaloaf tweeted. By chance, have there been any reports of unusual phenomena taking place as a result of a previous occupant's procurement of a tiki idol? What I'm really wondering is, is this place infested with tarantulas? "I have so many questions! How did 11 people fit in a 2 bedroom house??? Did all the kids share 1 room???" For Tha Kids tweeted.